I’m listening to advice on personal finance, becoming debt-free, and investing nonstop. While I’m folding laundry, driving, cooking dinner, and working out, I’m listening to Dave Ramsey’s podcasts. My fiance and I have been sold on the idea since we listened to Dave Ramsey’s Total Money Makeover on our way home from St. Louis. Repetition is the key to all learning, so I plan to keep listening and taking in the words financial experts until my fiancee and I reach our financial goals. 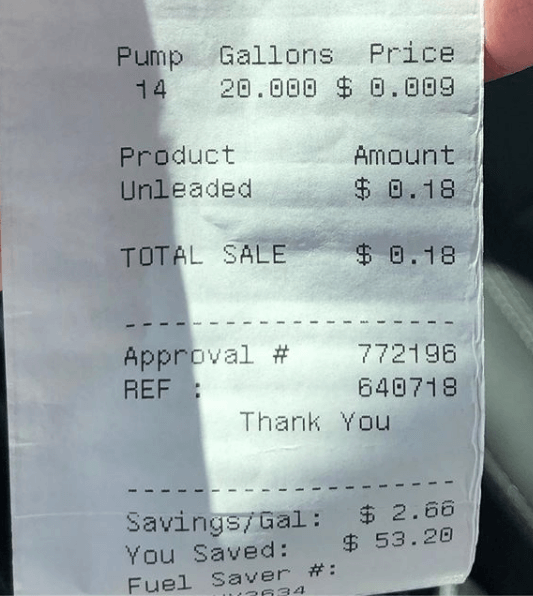 Nerd Alert: Fuel Savings Excite Me. The paths to both losing weight and building wealth are simple to follow. They may not be easy to follow, but they are simple. To Lose Weight: Create a caloric defecit each day until the goal weight is achieved. The amount of that deficit will determine the amount of weight loss. Build muscle, because it will increase one’s Basal Metabolic Rate (the amount of calories burned at rest). To Build Wealth: Earn more money than is spent. Invest, because doing so multiplies one’s savings. I can do both. No fancy degrees are required, just a willingness to do what needs to be done. I have taken on challenges in the past with success. So far on my weight loss journey, I’ve lost 40+ pounds. When I started doing Ballet Fit just over a year ago, I barely survived the class. Now my favorite instructor has shared with me that sometimes when she sees me and isn’t paying attention to who I am, she thinks she has a new dancer in class. Other women in the class have complimented me as well. Working long hours in unfavorable conditions is something I’ve done plenty of in the past. I’ve done it before and know that I can do it again. Now that I am older and maybe even wiser, I am able to work long hours in more favorable conditions. In the next few days I’ll be completing training at The Half Barrel, a classy and trendy whiskey bar in downtown Rochester that serves delicious food and drinks. Instead of treating it as a side job that I go to just to bring home some cash, I will be treating it as a profession that I care a lot about. When I served and bartended before I was good, professional, and solid at what I did. This time around, I’m expecting more of myself and am excited to see what those results will be. Oh yes, this woman is sick and tired of being sick and tired. I’m sick of knowing better, but not doing better. I’m tired of having the ability to make the good choice, only to give into temptation. Not progressing makes me cranky. I want to be in a good mood, to be fun to be around, and caring to those I love. My recent bouts of frustration have not been kind to me, or those around me. I am lucky to have patient, wonderful people in my life. That’s the name of my new game. I will reassess where I am and where I am going every 3 months and will update my plan accordingly. Drop 17 Pounds and Put $3,500 towards our Debt Snowball / Emergency Fund. Lose 1.5 pounds per week. To achieve this, I will need to have a calorie deficit of 750 per day and stop B.S.-ing about it. I’m sick of saying what my goal is and then not doing anything to get there, or at least not doing it on a consistent basis. I started this blog one year ago in part to keep myself on track in my fitness pursuits. Instead, I’ve been coasting and maintaining. No more of that nonsense. I’m sick and tired of being sick and tired! Contribute $292 (or better) per week to our Debt Snowball / Emergency Fund from my income. In addition to that, I am doing what I can to keep our household expenses down and to assist my fiance with his business without being disruptive to the company’s dynamic. What about you? Is there anything you’re sick and tired of in your life that you’re ready to do something, anything about? Please comment below or send an email my way at melissa@40fitnstylish.com.